Nick acts for a number of major Australian workers compensation insurers and Tasmanian self-insurers. 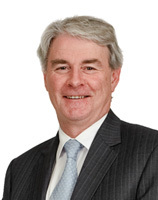 Nick specialises in workers compensation, both under the statutory scheme and at common law. He has a particular interest in stress claims and has extensive experience in the construction and mining industries. He also regularly advises on workplace health and safety issues, primarily in relation to accidents which can involve employers being prosecuted for breaches of legislation. Nick has provided a commentary in relation to workers compensation and Supreme Court decisions relating to workers compensation and industrial accident matters to insurers, self-insurers and employers for many years. His commentary is often used as a training document for claims personnel within the industry and to employers. He also provides advice and assistance to the Self-Insurers Association in Tasmania and regularly speaks at industry and insurance seminars. Nick is a member of the Australian Insurance Law Association. Nick provides strategic advice aimed at achieving a quick cost effective resolution. appearing as Counsel at workplace relations prosecutions and at inquests in the Magistrates Court of Tasmania.